The present international system, composed for the most part of sovereign, territorial states, is often viewed as the inevitable outcome of historical development. Hendrik Spruyt argues that there was nothing inevitable about the rise of the state system, however. 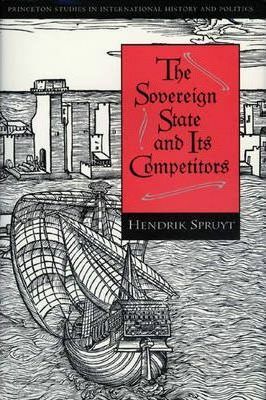 Examining the competing institutions that arose during the decline of feudalism--among them urban leagues, independent communes, city states, and sovereign monarchies--Spruyt disposes of the familiar claim that the superior size and war-making ability of the sovereign nation-state made it the natural successor to the feudal system. The author argues that feudalism did not give way to any single successor institution in simple linear fashion. Instead, individuals created a variety of institutional forms, such as the sovereign, territorial state in France, the Hanseatic League, and the Italian city-states, in reaction to a dramatic change in the medieval economic environment. Only in a subsequent selective phase of institutional evolution did sovereign, territorial authority prove to have significant institutional advantages over its rivals. Sovereign authority proved to be more successful in organizing domestic society and structuring external affairs. Spruyt's interdisciplinary approach not only has important implications for change in the state system in our time, but also presents a novel analysis of the general dynamics of institutional change.